Celtest undertakes UKAS accredited construction materials testing on materials that include aggregate, bitumen, concrete, natural stone and soil. The business also provides diamond drilling and sawing as well as anchor installation services. Established in 1980 by the current directors, the business has grown organically and now employs circa 130 employees. Celtest serves the construction and civil engineering markets and has both national and international clients. The company has worked extensively on international projects in countries including Nigeria, Qatar, North America, and has recently completed an anchor installation project in Trinidad and Tobago. Additionally, their presence in the nuclear industry is growing having secured a contract for materials testing at the Hinckley Point C project. “We didn’t approach anyone, we self-financed and reinvested our earnings. Our first major contract was quality assurance for a large concrete and asphalt producer.” – Iwan Morgan, Business Development Manager. What would they do differently? Iwan and the team needed help with succession planning and approached the Welsh Government’s Business Wales service for support. They received general business advice with growing the business and were referred to specialist skills support to explore funded recruitment programmes and training schemes. Celtest received further help from a Business Wales HR adviser, who reviewed their staff handbooks and provided advice on HR policies and procedures. Celtest also benefitted from an innovation grant and support from the Welsh Government’s Innovation Team, as well as Superfast Business Wales who helped with developing their new website. 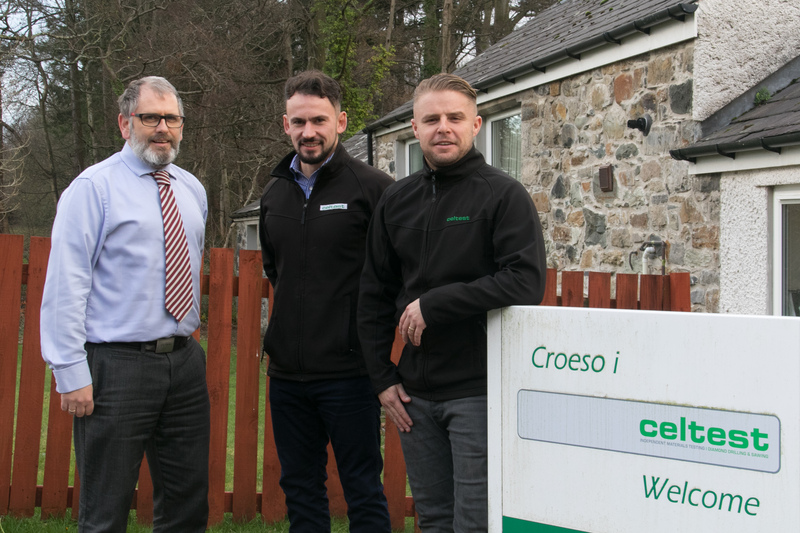 Iwan Morgan, Business Development Manager at Celtest, said: “Funding and advice from the Welsh Government helped develop and transform one of our service offerings in allowing us to bring a service that we previously sub-contracted in-house. Without the funding, we could not afford to invest in the new equipment required to do that. We are already seeing the benefits as we are now able to provide our customers with a much quicker turnaround and this is helping us reach out to new customers.